Lyn is an award-winning public health academic with an interest in the social health of people with dementia and the personal, social, environmental and service factors which support it. She is currently focused on exploring the impact of Consumer Directed Care on people with dementia who are recipients of Home Care Packages as part of her NHMRC-ARC Dementia Development Fellowship. 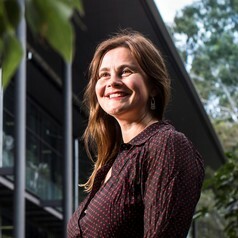 She is also leading a UOW Global Challenges Dementia Keystone program which supports interdisciplinary research to promote care, play and environmental connections for people with dementia. In 2018, Lyn was appointed as an WHO-IFA Age Friendly Mentor which supports her contribution to the development of global capacity to create Age and Dementia Friendly Environments.